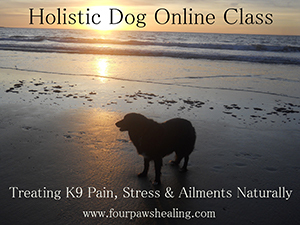 In this 2-hour class, learn about holistic therapies to help ease dog pain and stress. 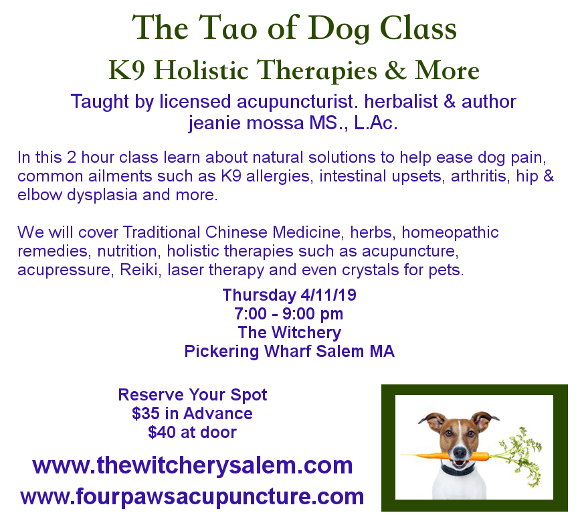 We will cover alternative therapies such as acupuncture, Reiki, laser, acupressure along with Traditional Chinese Medicine, herbs, homeopathic remedies, nutrition and crystals for common ailments such as K9 allergies, intestinal upsets, arthritis, hip and elbow dysplasia and more. Do to the space limitations of this class only guide dogs are permitted. Taught by Jeanie Mossa, L.Ac. Take the class on Udemy! by Jeanie Mossa, L.Ac. with Norman Kraft, L.Ac. In this guide for the acupuncture practitioner, Jeanie Mossa provides a useful and entertaining text on the treatment of arthritis, pain and bi syndrome in dogs. 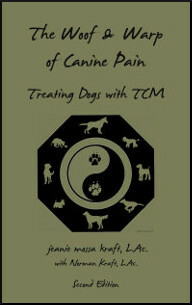 Including tips on the practice of canine acupuncture, this book provides the practitioner with the tools needed to effectively treat these common canine disorders. From diagnosis to acupuncture point selection, Chinese herbs to canine nutrition, this book should be on every canine acupuncturist's shelf. Please note: this class will no longer be available for NCCAOM CEU/PDA credit after May 15, 2015. All final tests must be submitted before May 31st, 2015 to receive CEU/PDA credit. Combining audio and written materials, this course presents strategies for treating pain and arthritis (Bi Syndrome) in dogs using acupuncture and Chinese medicine. Course subjects include diagnosis, acupuncture points, Chinese herbal formulas, nutrition and lifestyle changes. The intended audience is licensed acupuncturists, with a background in acupuncture, Chinese herbs and Chinese medical theory. Understand and apply special considerations when administering acupuncture to dogs. 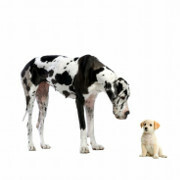 Understand Bi Syndrome and arthritis as it relates to dogs. Take a complete canine medical history. Diagnose arthritic pain and movement disorders in dogs. Priority Mail with delivery confirmation. NOTE: This course contains only cursory point location information. If you need in-depth training in canine point location, we recommend the DVD Canine Landmark and Acupoint Energetics by Turie Norman, DVM.